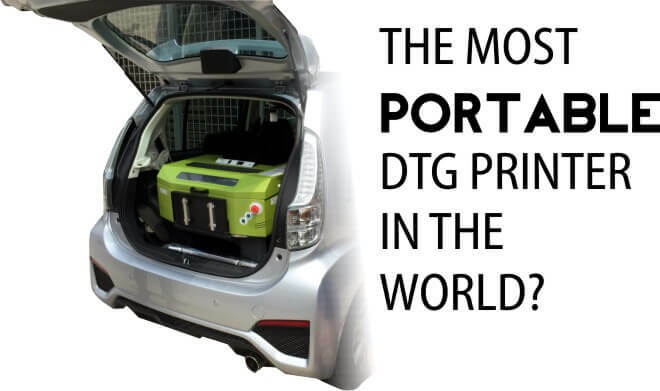 BajuJET LITE 330 is not only portable but very light weight, weighing little over 40kg or so making it easy to transport for any events. 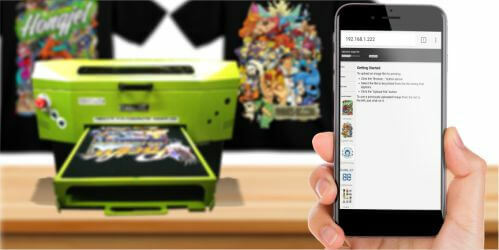 T-shirt is loaded once and CMYK with White inks are printed directly onto the fabric without reloading, this saves a lot of loading and unloading time while reducing risk of error. Inks that come with BajuJET LITE 330 are formulated for this printing method which has almost zero smearing during such One-Pass Printing. RIP or Raster Image Processing Software is essential and many times very crucial to DTG printer performance. 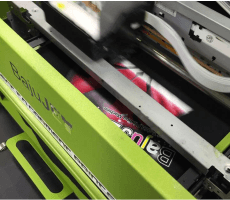 BajuJET LITE 330 DTG printer comes with built-in RIP software inside the printer itself. No more installation or setting up after your computer has been reformatted or infected by computer virus. It is independent and does not rely on a PC or computer to run, its hardware and software are built to work side by side inside the machine. White ink in confined ink tubing settles and separates very fast and without agitation or circulation which remix them back, any DTG printer with White ink will NOT last and always causing great loss of time and money. BajuJET LITE 330 has a built-in White ink system that recirculate the White ink from ink tank (ink bag) to manifold at dampers. 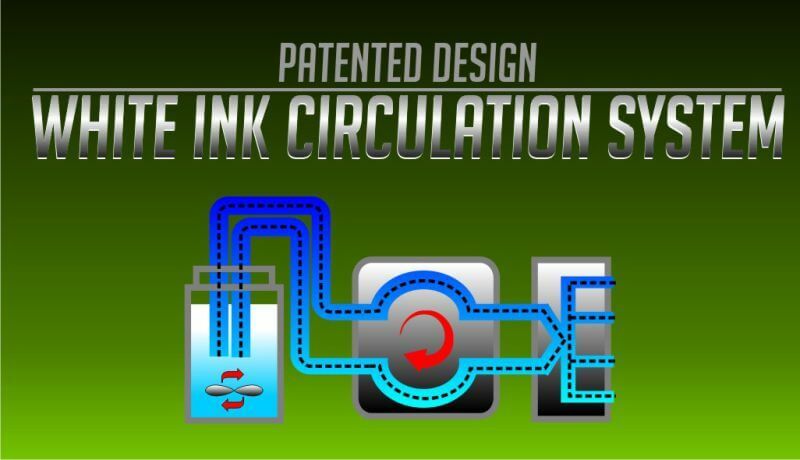 This will keep the ink well mixed over non-running time such as weekends.